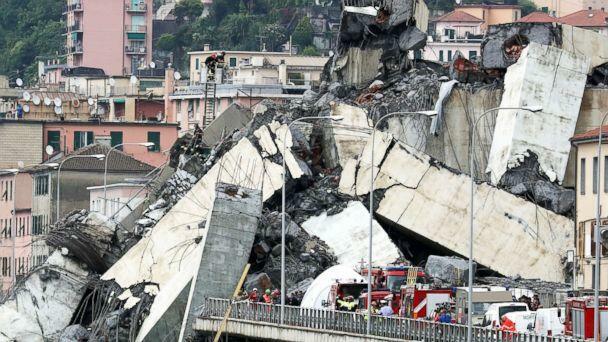 The Italian port city of Genoa began two official days of mourning Wednesday amid an urgent search for survivors of a catastrophic bridge collapse that has claimed at least 39 lives, including three children, authorities said. About 400 rescue workers remain at the scene, working in a dangerous environment in an attempt to find more survivors, Gissi said. Buildings under the bridge were damaged in the collapse and there is concern that the rest of the bridge could fall, he added. Meanwhile, investigators tried to establish the cause of the collapse. 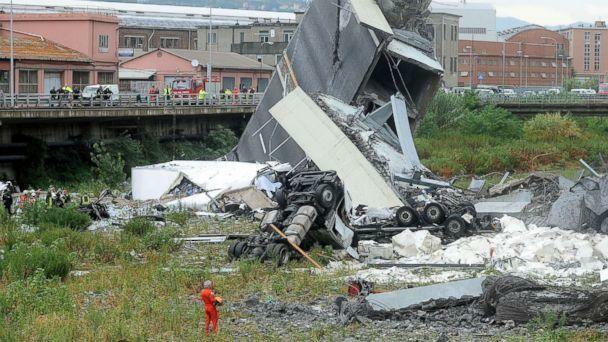 Dozens of cars and three trucks fell about 150 feet to the ground Tuesday when the Morandi Bridge collapsed one day before Italy’s major summer holiday. 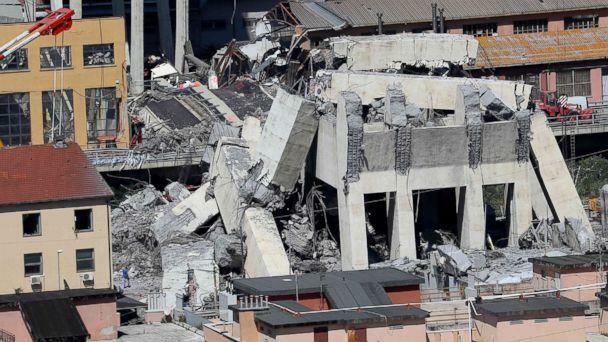 Genoa residents Carmelo and Wanda Presti said they thought there was an earthquake when they heard the sound of the bridge collapsing. "Where are he people going to go? With these things happening, we can't be calm," Wanda told ABC News in Italian on Wednesday. Fifteen people were injured authorities said. Italian transport minister Danilo Toninelli Wednesday called on the top management of Autostrade, the company operating the bridge, to resign. The government is also in the process of revoking Autostrade’s concession to manage the motorway that included the Morandi Bridge and is looking into handing out fines to the company, Toninelli said in a Facebook post. 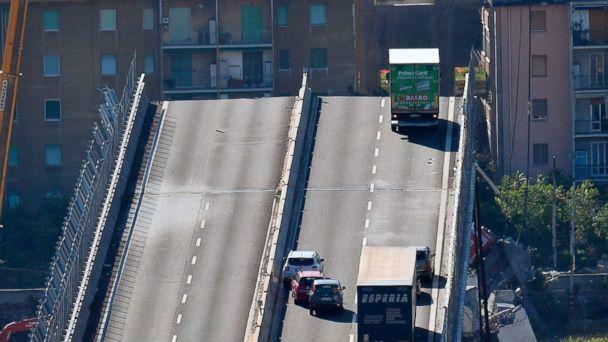 But in a statement, Autostrade said it had done regular checks on the bridge in accordance with the law. Antonio Brencich, a professor of engineering at the University of Genoa, has previously called the bridge "a failure of engineering" and that it would be better to demolish the bridge than maintain it. ABC News' Julia Macfarlane contributed to this report.